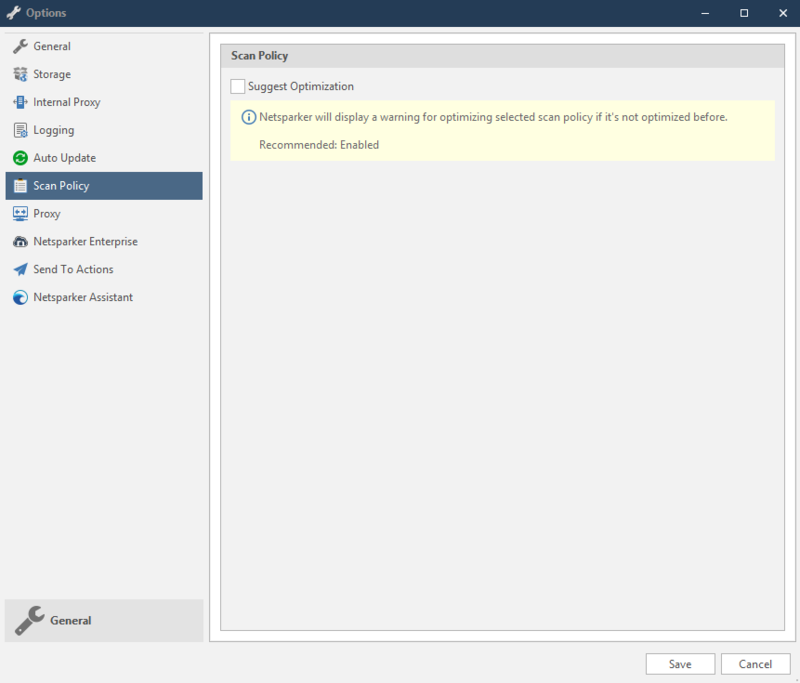 In the Scan Policy tab, you can enable a warning to remind you to optimize the selected Scan Policy if it has not already been optimized. For further information, see Overview of Scan Policies and Scan Policy Optimizer. In the Home tab, click Options. The Options dialog is displayed.